Born and raised in Louisville, Kentucky, Chris Meinhart is proud to be a first-generation American as his parents immigrated from Germany in 1955. 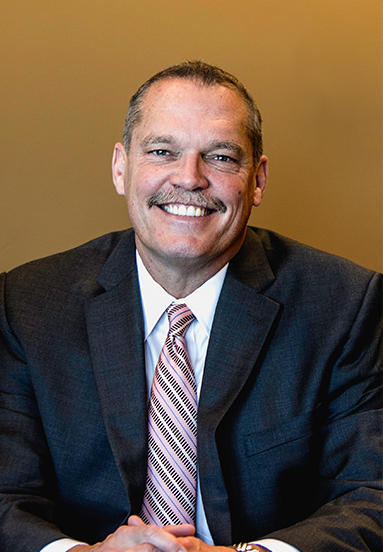 Chris received his business degree from Eastern Kentucky University in 1986 and continued his education at the Louis D. Brandeis School of Law at the University of Louisville earning his law degree in 1989. Chris represents clients statewide and is “at home” in the courtroom, having tried over 100 cases. He serves as an Adjunct Professor at the Louis D. Brandeis School of Law where he teaches Trial Practice to current law school students. Chris serves as an Adjunct Professor at the Louis D. Brandeis School of Law where he teaches Trial Practice to current law school students. Since 1999, Chris has served as the Public Administrator of Jefferson County, having been elected four consecutive times by the Judges of Jefferson District Court. In this capacity, he has been appointed to represent hundreds of injured children and oversee their injury settlements. For the past seven years, Chris has served on the Board of Directors of Dare to Care Food Bank in Louisville, Kentucky, an organization dedicated to fighting hunger in our community. He lives in the Crescent Hill area with his wife, Jennifer, and their six daughters. He enjoys coaching his daughters’ school sports, golfing, and enjoying lake time with family and friends.